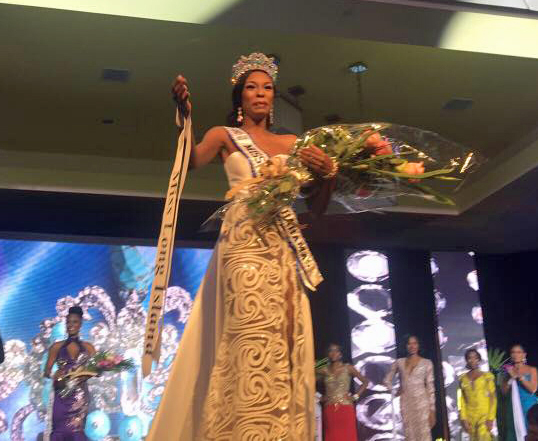 Ashley Hamilton, a 23-year-old six-footer representing Long Island, was crowned Miss World Bahamas 2016 at Melia Nassau Beach on July 24th. She will now represent the Bahamas in the 2016 Miss World pageant to be held in Washington, D.C. on December 20th. The first runner-up is Pischia Adderly, Miss Paradise Island, and the second runner-up is Rotalya Williams, Miss Cat Island. Ten young women competed in this year's edition of the annual pageant.